With our roots firmly in the Cheshire and Greater Manchester areas, we have completed hundreds of contracts - large and small - to become one of the region's most respected building contractors and developers. 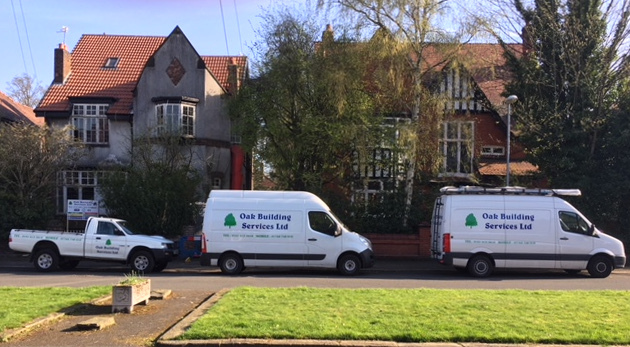 OAK BUILDING SERVICES LTD has been providing construction services to satisfied clients for over 30 years and has been a registered limited company for 14 years. Our management team has the experience to bring in projects to specification, on time and on budget. Our personnel are qualified time-served tradesmen and skilled craftsmen. When you engage OAK BUILDING SERVICES you bring to your project a wealth of building and civil engineering expertise. Bring us in as early as possible at the inception of the project to benefit from our knowledge of building regulations, byelaws and planning procedures. Whether the job is large or small you can be assured that OAK BUILDING SERVICES will execute the project with precision and without fuss.